Working with a broad spectrum of clients requires a good selection of seating options for any style of interior. 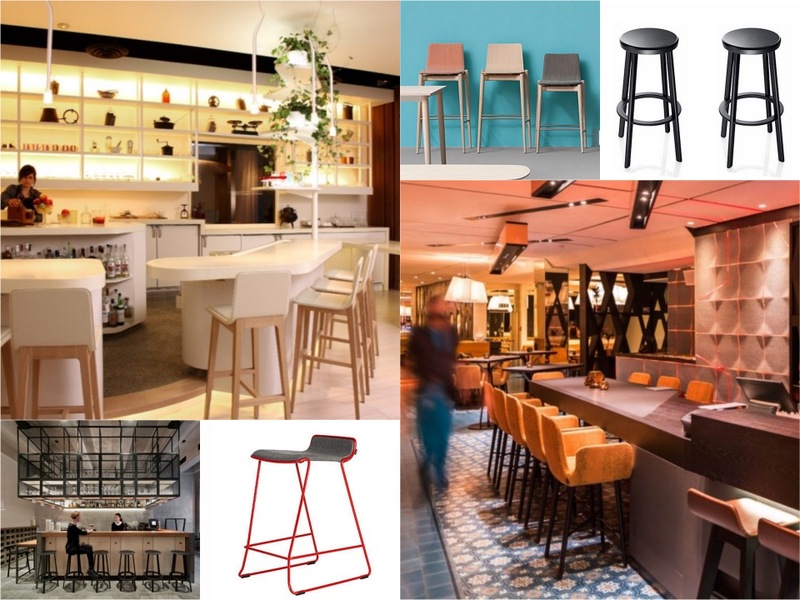 Taking inspiration from a variety of modern interiors, we present how a high stool can be selected for a range of interior styles ranging from traditional wooden stools to a sleek metal option. 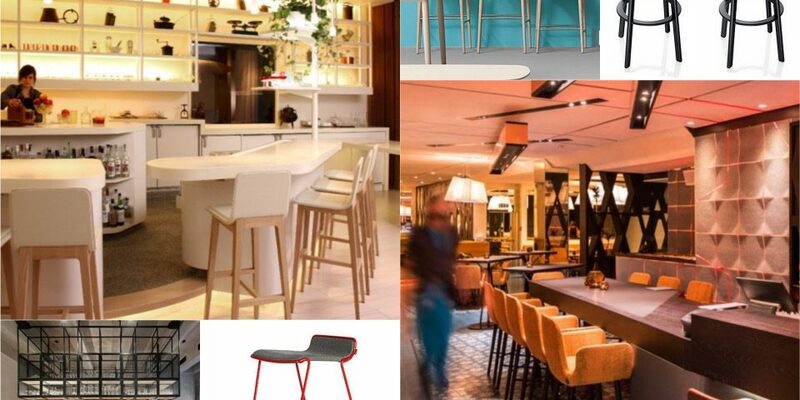 Whether you require seating for a bar, café, restaurant or staff canteen, we are able to supple a wide range of bar stools. A simple and relaxing atmosphere has been created with the use of wood and deep natural saved of green and grey. The interior is a combination of raw wood table tops, metal bars and racer green upholstery. Here, a classic wooden square bar stool has been selected to add to the warm appeal of this Italian bar/café. The Babila wood stool is our most modest and classic wooden designed bar stool. Ideal for adding a classic style, the Babila comes with updated appeal. The frame is made from solid wood that comes in a choice of colours including natural ash, black stained ash or grey gained ash. Added modern essentials includes the aluminium foot rest. Styled with distinctive international inspiration, the Holy Fox Bar is a restaurant featuring a welcoming bar area. The interiors are sleek and based around a very bold palette. The U-shaped bar itself is constructed of a combination of wood and concrete, complemented with a black metal-shelving-system hanging above. The stylish metal black stools stand out and add a sleek and elegant finish. 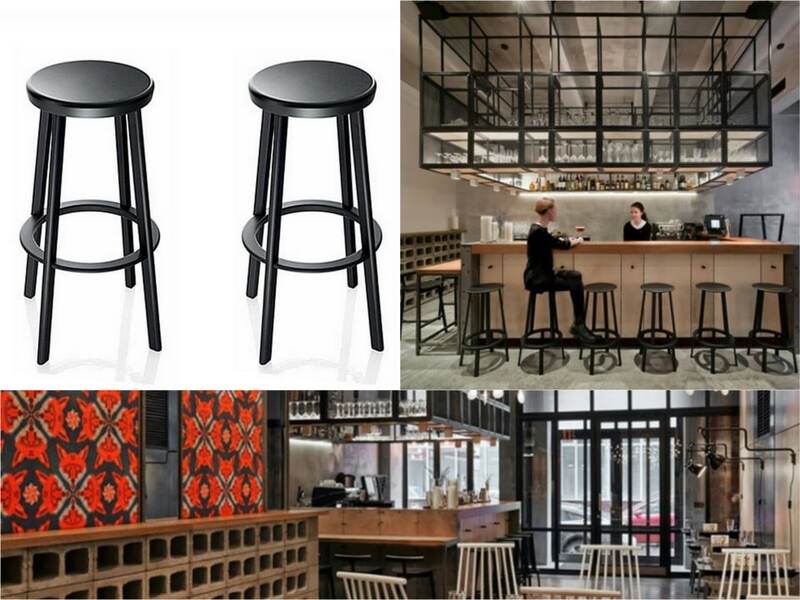 Create a sophisticated look with the Deja-vu black metal bar stool. 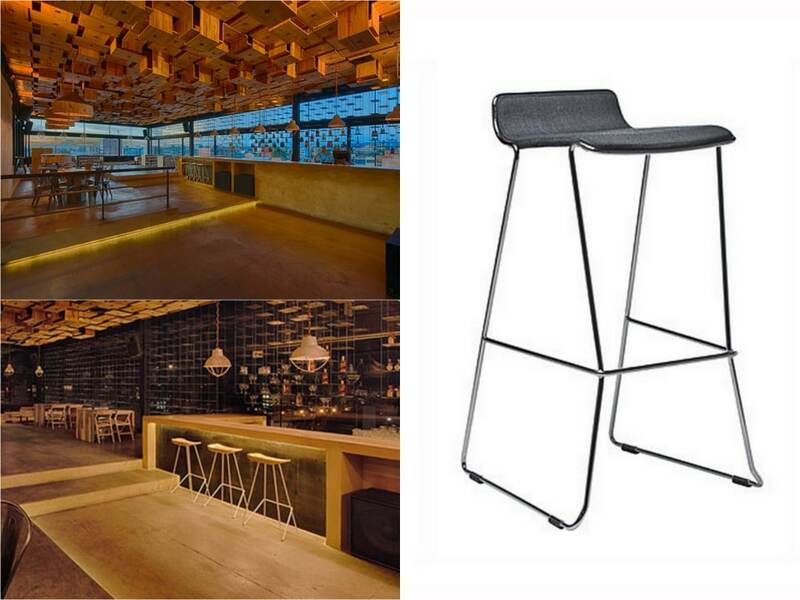 Composed of a robust aluminium base and die-cast seat, the stool comes in three heights for use in various spaces, including at the bar, or for use with benches and tables. As well as the black, a white or polished aluminium finish can be supplied. This Colombian bar features stunning wooden work through its floors and ceilings. The bar, situated on the 7th floor of a building provides stunning views across the city. 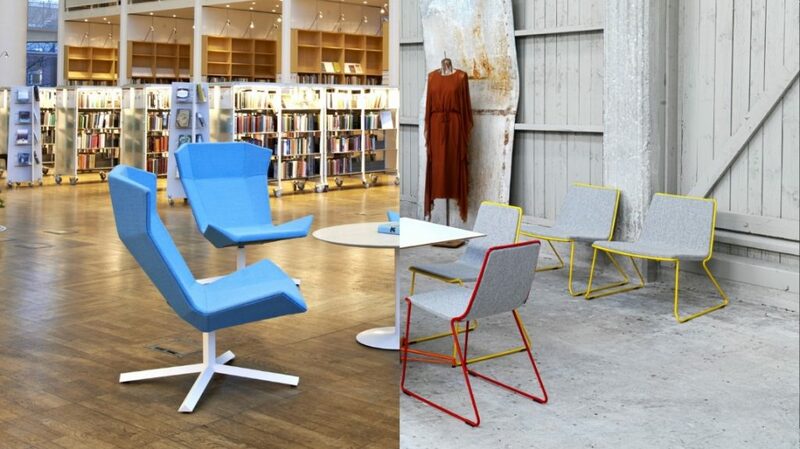 The wood has been complemented with a selection of metal furniture and industrial styles. 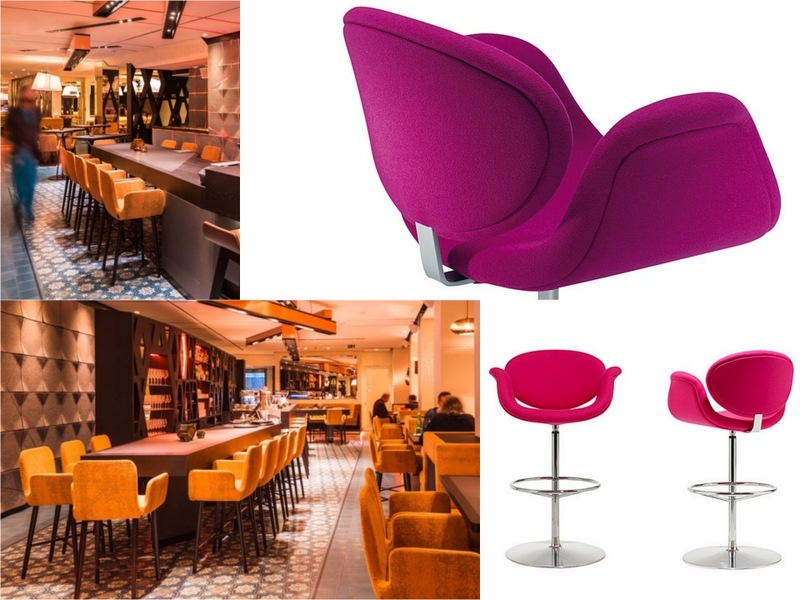 The bar area has been furnished with a selection of contemporary bar stools to enhance the modern and sophisticated appeal of the entire environment. Create a contemporary look with the Speed upholstered bar stool. The styled frame gives the bar stool a very up dated look and can be painted in over 60 RAL colours to match any interior colour palette. 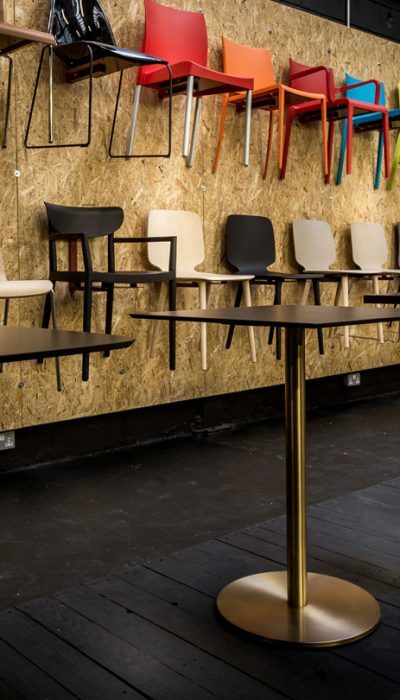 The soft seat comes upholstered in a choice of fabric, leather or vinyl finishes and to add to the variety of options, the Speed bar stool comes in two heights. Presenting a menu of classical and traditional cocktails, barmini allows guests to experience a menu of inventive cocktails and ingredients. The bar’s interior hints towards a modern European style with soft woods, smooth lines and an elaborate use of white. The main bar features space to seat six people, with comfortable wooden and upholstered stools complementing the rest of the interior. 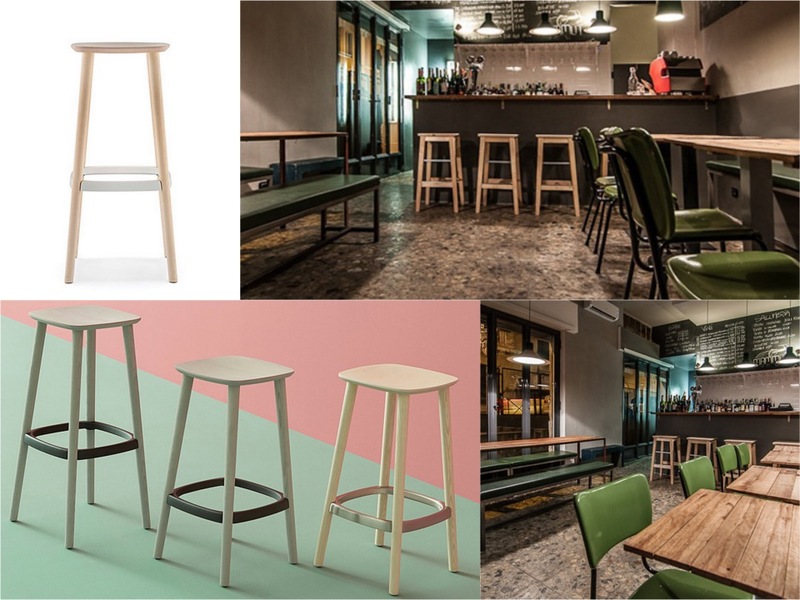 Presenting both an updated look with an essence of traditional style, the Malmo wooden bar stool would be a suitable option for creating a modern look. The durable solid wooden frame comes in a selection of natural ash or stained ash in black or grey. 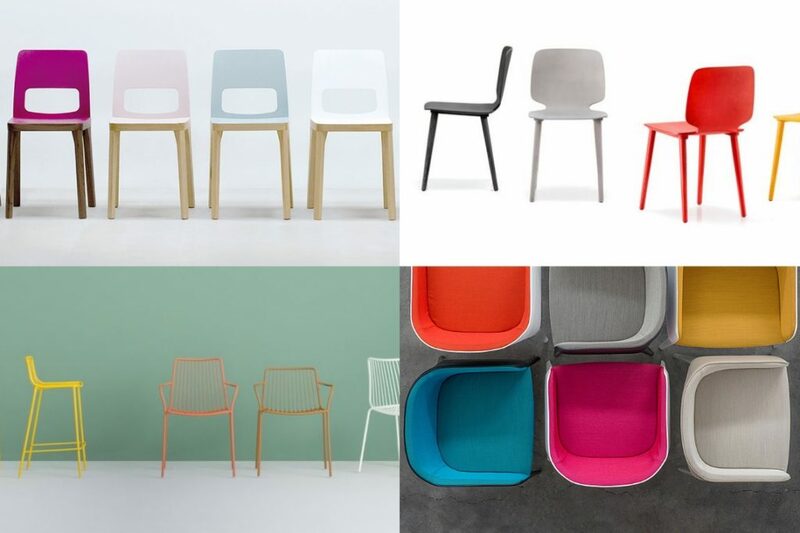 The seat comes in a variety of options; fabric seat with six colour options or leather with six colour options. 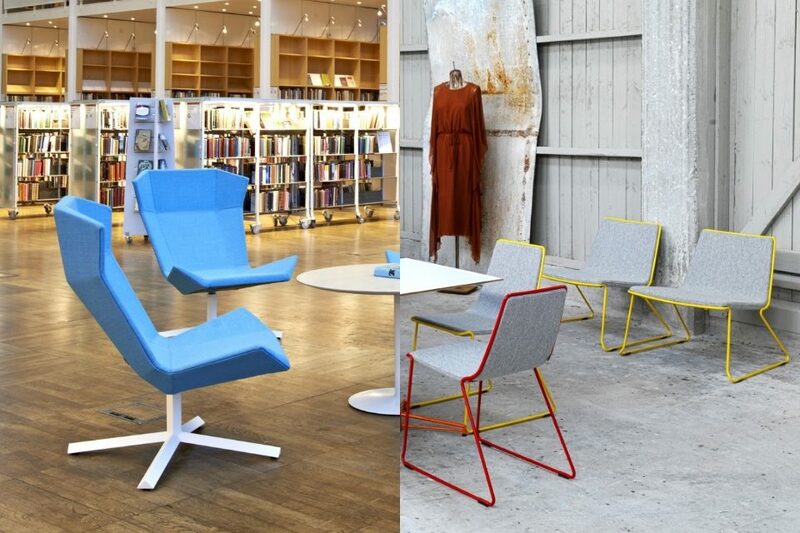 The Malmo is both elegant and modern to add to any sophisticated interior. The Room in Vienna is a stunning venue which functions throughout the day, serving breakfast, brunch, lunch, dinner and drinks until late into the night. 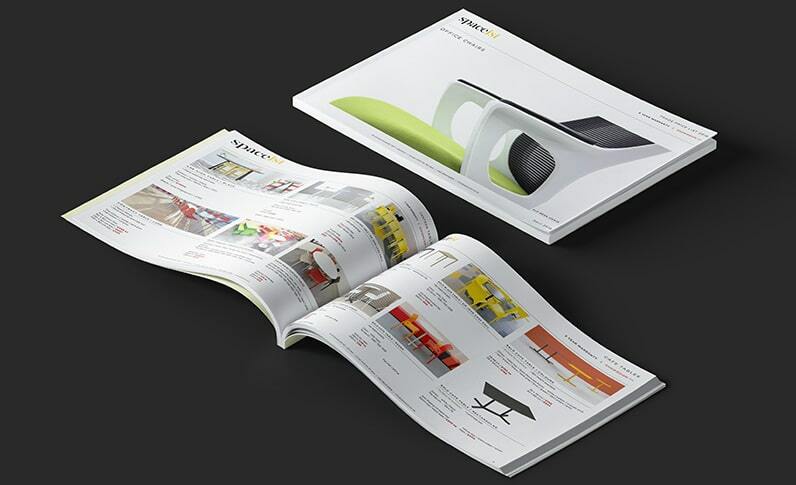 The furniture reflects this with a bright colour palette and functional layout. 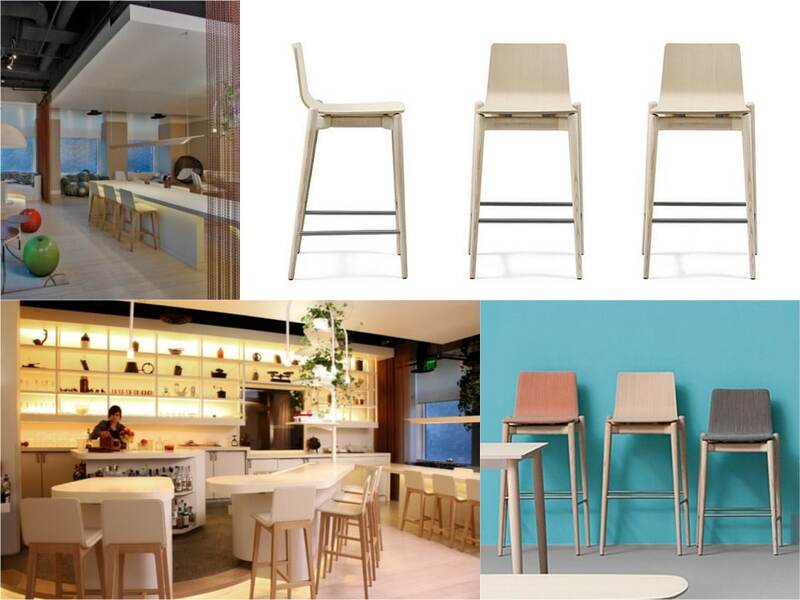 The use of supporting high stools allow visitors to dine in added comfort. Ideal for providing a fully supported option, the Little Tulip bar stool represents a classical shape. With a swivelling polished chrome base, the stool comes with a fully upholstered fabric seat. 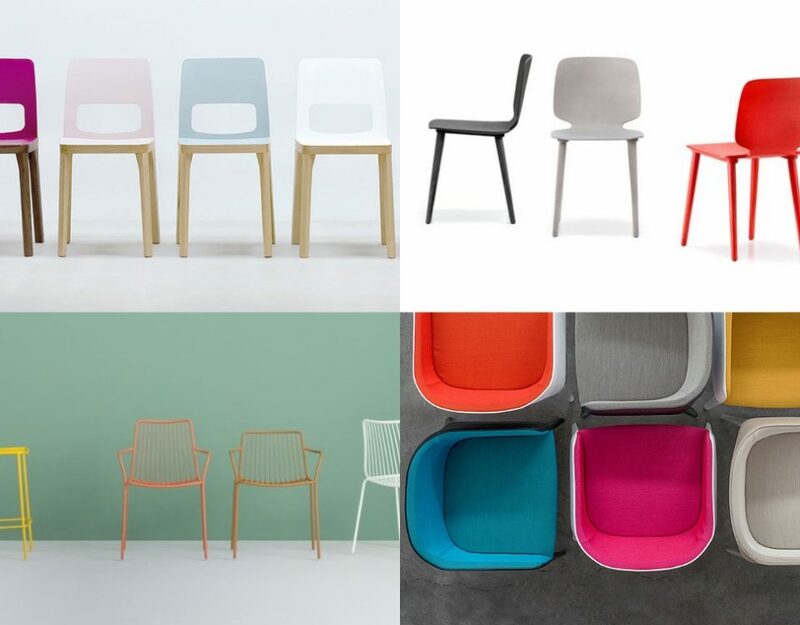 Choose from a range of bright or mellow shades including red, green, yellow, grey or black, and more. 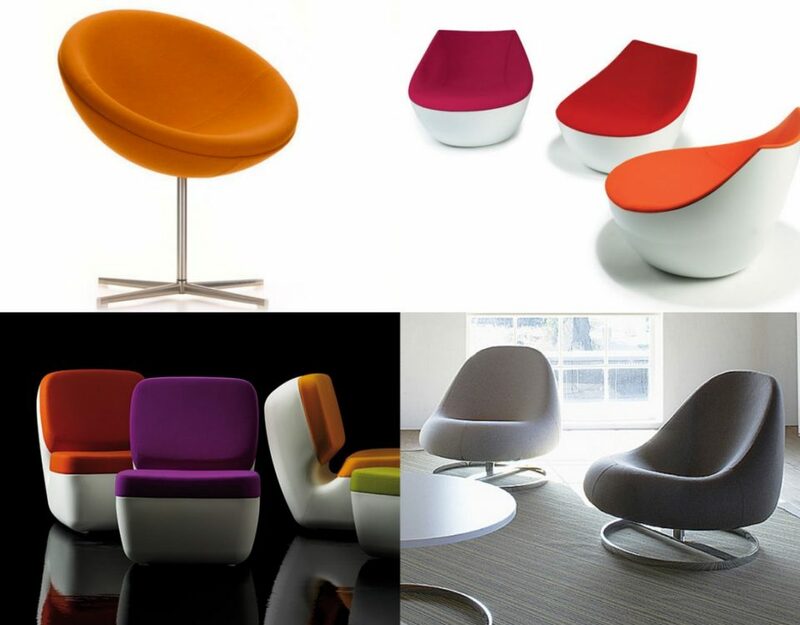 The Little Tulip chair is ideal for bar areas with a classical yet modern appeal.